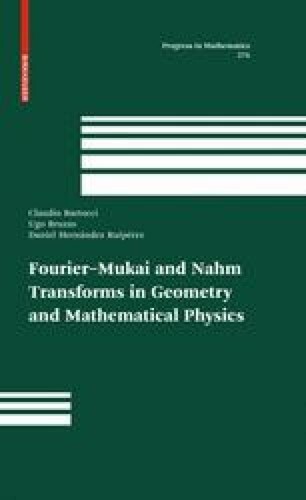 In this chapter we offer a quite comprehensive study of the relative Fourier-Mukai functors. We consider (proper) morphisms of algebraic schemes X → B, Y → B, and use an element in the derived category of the fibered product X ×B Y as a kernel to define an integral functor from the derived category of X to the derived category of Y . This generalizes what we have already seen in Chapter 1 when the morphisms X → B, Y → B are projections onto a factor of a product.